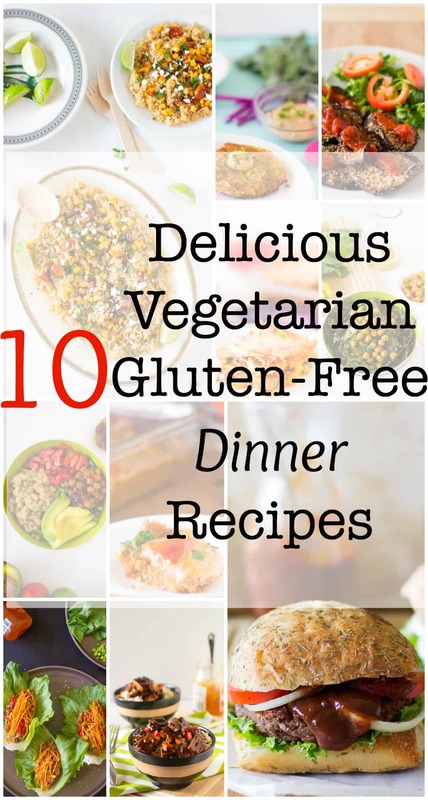 I wanted to share my 10 favourite Vegetarian Gluten-Free Dinner Recipes today. Although I am not particularly gluten-free myself, I do have many family members and friends who as a necessity have to go gluten-free, and I’ve also had many readers ask me! One thing I’m doing now is re-labelling all of my recipes to reflect their allergy friendly-ness (nut, dairy, egg and gluten) so very soon you’ll have an all encompassing guide! I have started it and it’s right there on the sidebar among other labelling of 30-minute meals, vegan recipes and desserts. I do hope these recipes help to make your dinner exciting, filling and most of all delicious! 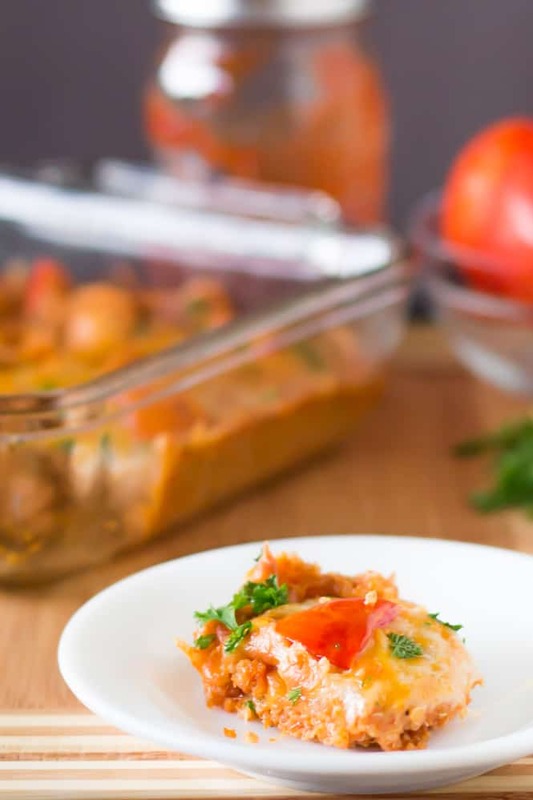 1) Cheesy Quinoa Casserole (GF) – this has been one of my favourite casseroles to date! I will admit I’m sort of a cheese addict, but it comes together so quickly with ingredients you probably already have in your house. 3) Crunchy Kale and Chickpea Salad with Lemon Poppyseed Dressing (GF + V) – It’s so hard to choose a favourite salad but this is definitely one of my favourites. 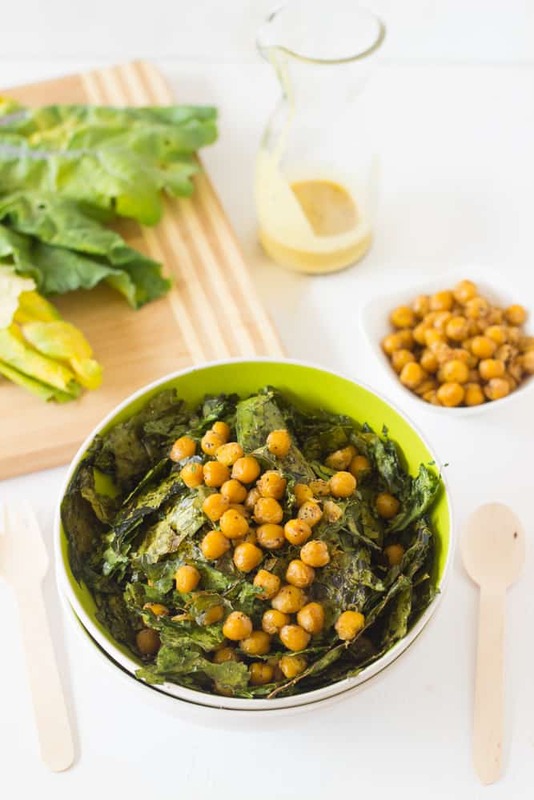 I’m a kale and chickpea addict, and when you add a crunch factor it makes it even better. 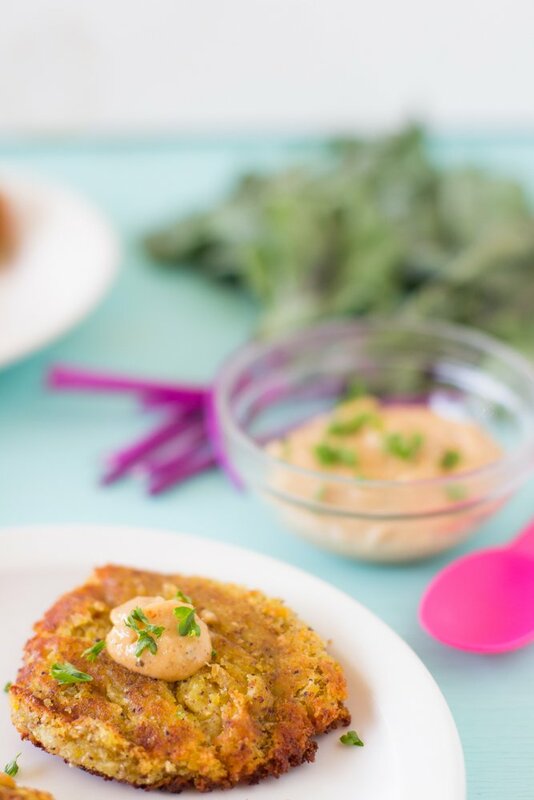 4) Sweet Potato Kohlrabi Fritters with Yogurt Tahini Sauce (GF) – I originally listed these fritters as a breakfast but I easily ate them for dinner. The vegetables used translated well to a dinner meal and paired with a side, they make a complete and delicious meal. 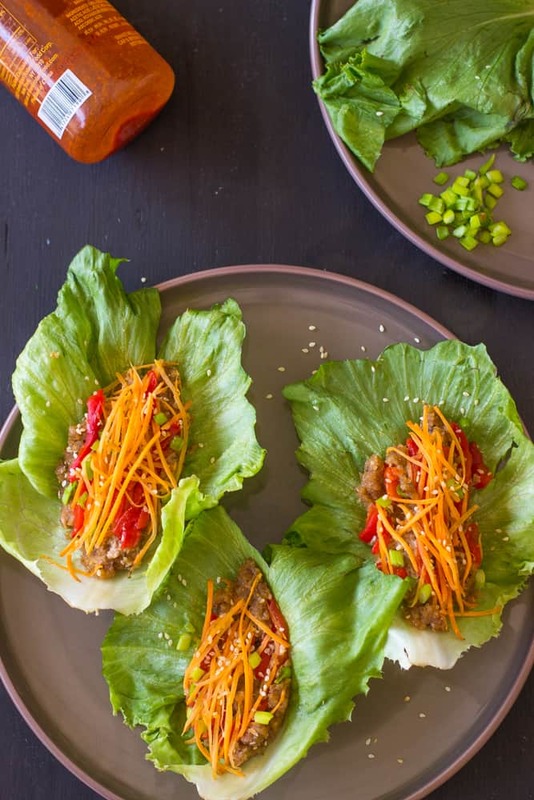 5) Asian Lettuce Wraps (GF + V) – These wraps were one of my favourite posts on the blog to date. They were SO good, so filling and so inventive with the walnut meat! You definitely wouldn’t know that it wasn’t meat. 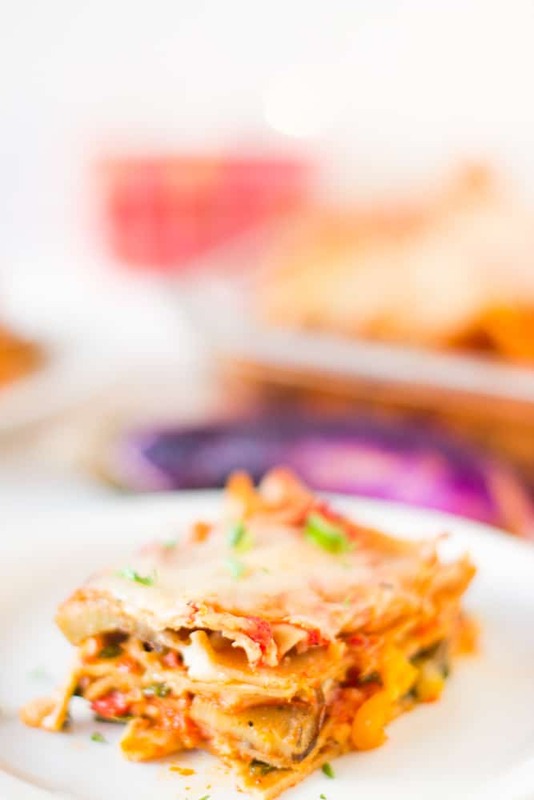 6) Vegetable Lasagna (GF) – once you use gluten free lasagna noodles, this lasagna is automatically gluten free. You’ll love the layers of cheese, meaty vegetables and the sauce! 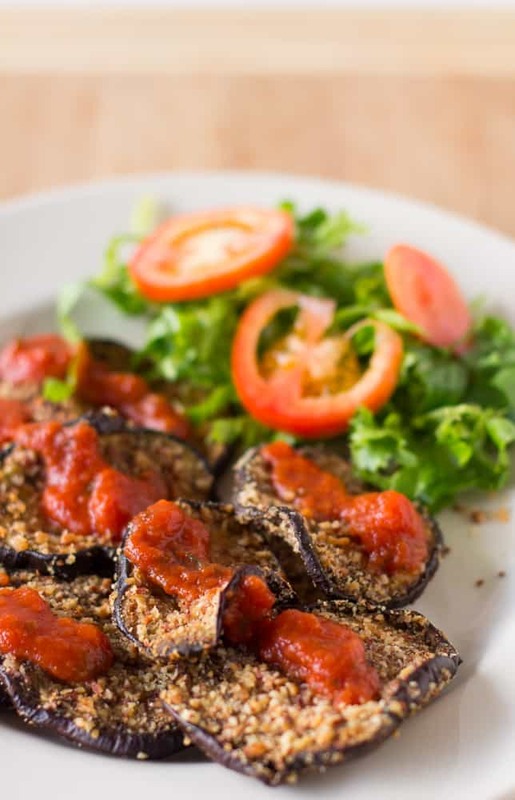 7) Almond-Crusted Baked Eggplant (GF + V) – I’ve already gotten reader feedback that these are a well loved recipe – the multiple textures make it so good and it’s a great way to use up your eggplants. 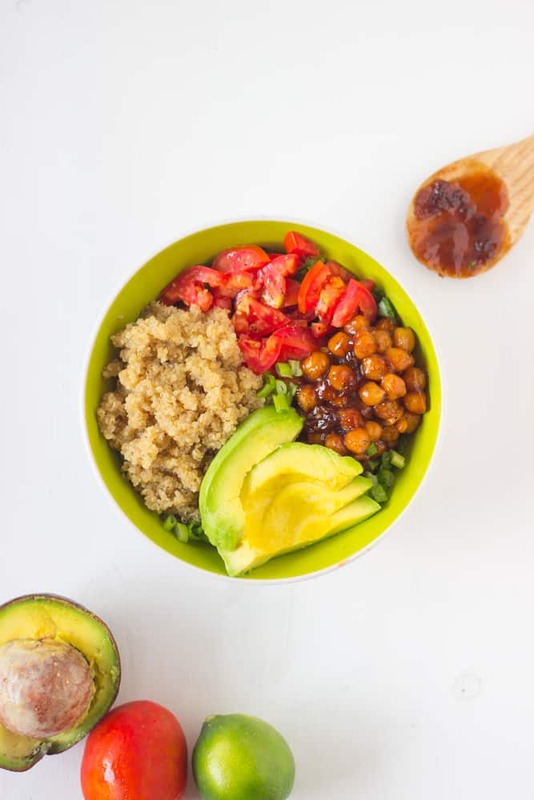 8) Honey & Lime Quinoa Salad Bowl with Spicy BBQ Chickpeas (GF) – This salad had all the elements of a complete meal and the bbq chickpeas was my favourite part. My tip for bowl food? Mix all the ingredients together and get a bite of everything in each forkful. 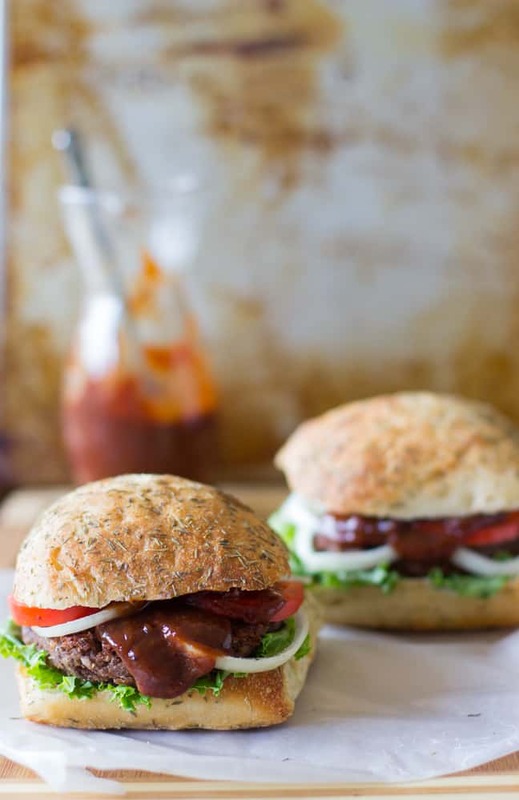 9) Black Bean and Quinoa Burgers with Strawberry BBQ Sauce (GF + V) – These burgers make the perfect Friday night dinner and were pretty darn tasty! The Strawberry BBQ Sauce just takes it over the top! 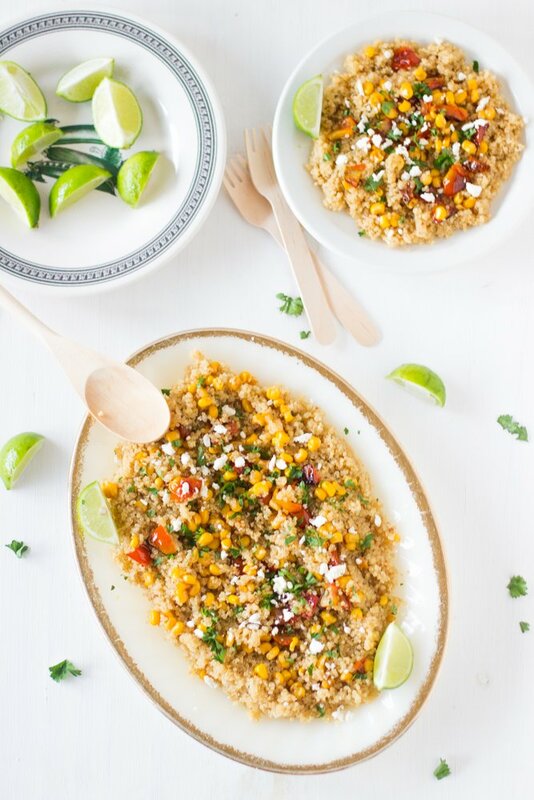 10) Quinoa and Corn Salad with Honey-Lime Dressing (GF) – I just posted this, but I really enjoyed it and had it several nights this week. This is seriously (again) one of my favourite salad combinations and is effortlessly gluten free. These are all AMAZING recipes! I love that you created your own round up! AMAZED at how much you get done girl!! Thanks Sophia! Haha trust me I procrastinate a lot too! What a great collection of dishes! I especially want to try that quinoa casserole. It looks wonderful! This is such a great selection! I want to try so many of them 🙂 Thanks for sharing! Thanks Lilli and you’re welcome! 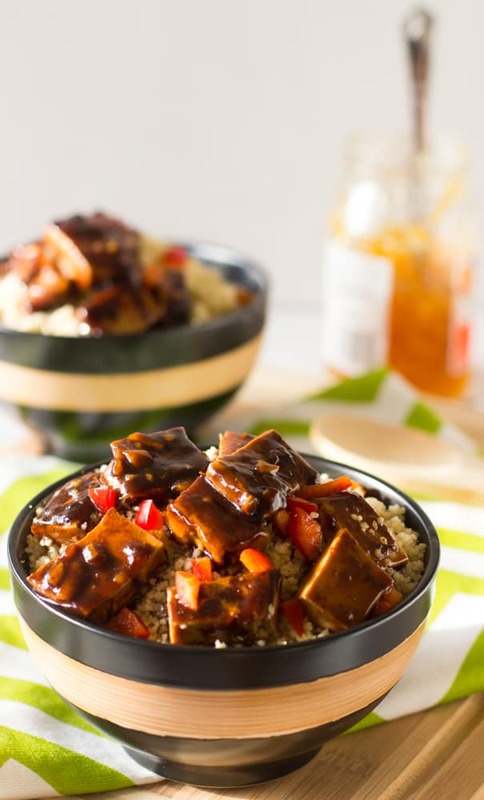 What a great round-up of gluten free meals, Jessica! Pinning a bunch! Thanks Gayle and thanks again for pinning! They all look appetising Jessica, thank you so much for sharing these wonderful recipes. This looks amazing! I’ve been trying to cut down how much gluten I eat- so these meals sound amazing to try out! Love the quinoa bowls so much! Lots of great choices here Jessica! Beautiful photos too. What a great round up! I especially love the tofu dish and the grilled eggplant. Looks so delicious! I love all these meals! We have tried the both Mexican quinoa meals, lo mien, enchilada orzo (my favorite), and the burrito bowls (my 2nd favorite). They have all been easy to make and so, so, so good. Working on trying all these recipes. I appreciate that they are easy and I do not have to run to specialty stores to get everything!! Oh SO happy to hear that!! Thanks so much for your comment! I love most of these, but couscous is definitely not gluten-free! It’s made from wheat. Ah! Not sure how I missed that – thanks so much Melanie! I’ve corrected it!